The Oxford 3172 chair with fixed height and toes was designed by Arne Jacobsen for Fritz Hansen in Denmark. A remarkably comfortable chair with a high back for great lumber support, and swivels a 360 degree. 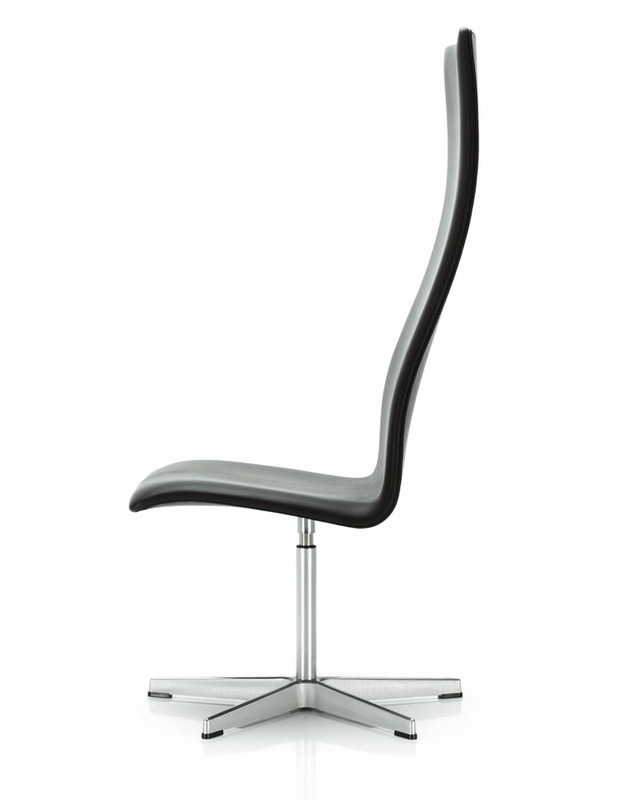 The rubber toes on the satin polished aluminum base keep the chair sturdily in one place. A perfect executive chair for an office setting. 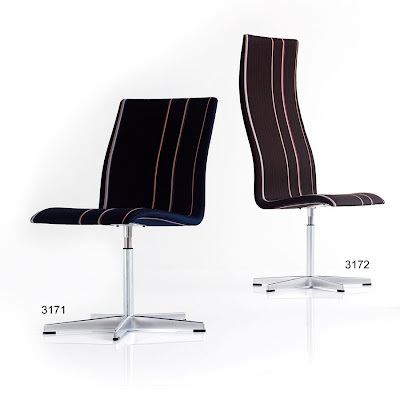 The Oxford 3172 armless chair is available in a large variety of Fabric upholstery as well as Leather upholstery.